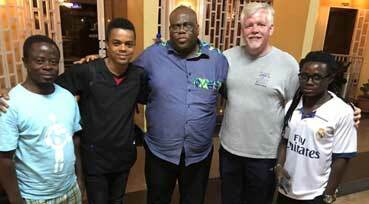 DrMosokoFallah is a doctor who has won international acclaim for his work in Liberia. He led the Ebola Task Force during the deadly Ebola outbreak in Liberia. He was the change agent whose interventions abated the deadly spread of Ebola. We are proud to be partners with him. He is the Founder and Director of Refuge Place International (USA). This is located in the Chicken Soup Factory Community, Monrovia. Refuge Place runs a Clinic and facilitates health and development initiatives in the surrounding communities in Monrovia. 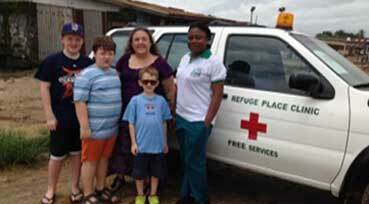 During the Ebola crises, Gathering Together donated an ambulance to Refuge Place. Lara Olson (Co-Founder and Senior Manager International Operations) and 3 of her sons got to see the ambulance Gathering Together donated during the Ebola Crisis to help get patients to medical facilities safer and faster. Recently Refuge Place has partnered with a village in Rural Montserrado County, to provide holistic interventions for health and development. 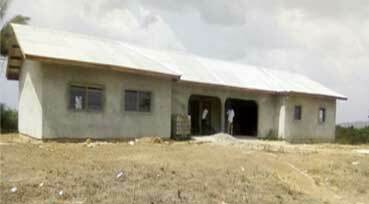 Low Cost Village has provided land for a clinic as well as sand, bricks and labor. Refuge Place has provided cement, and roofing, and rebar. 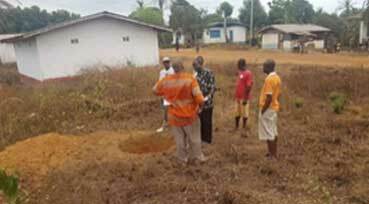 Refuge place is training Community Health Workers to cover 12 surrounding villages. 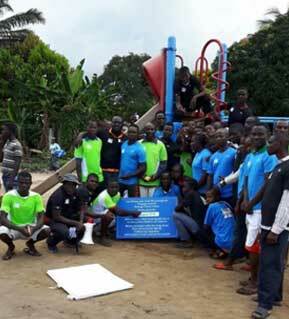 Thanks to the volunteers that helped build our 3rd playground to further the goal of Ian Olson and Sam Brantingham to get a playground in every county of Liberia. We are happy to have the Montserrado County location at Refuge Place Clinic.